By Malik Brahimi in Toolkit. Updated on August 3, 2018 . In recent years, Python has spread like wildfire, and many developers, both beginners and experts, have taken a liking to it. Python is known to be simple, efficient, and versatile. From desktop scripts to web applications, companies such as Google, Spotify, Pinterest, and Instagram use Python to power their software, which millions of consumers use across the world. In this post we will be looking at the various packages that power some of the most popular applications to catch a glimpse of Python’s acclaimed versatility. Django is undoubtedly one of the most versatile web development frameworks. Whether you need a backend for your personal blog or a content management system for your business, Django can help you grow from close to nothing to a fully featured web application. Additionally, there are already many implementations for a bunch of common web development tasks right out of the box. Requests is about Pythonic as it gets. Its simple, elegant API has earned the package thousands of downloads and a place among the best of the best. 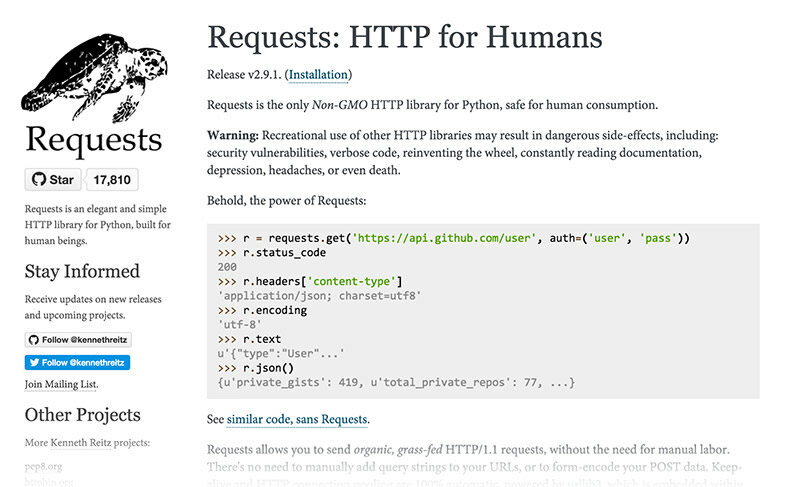 With Requests, making an HTTP request of kind is but a single line of code away. Fortunately, receiving and parsing a response is just as easy. 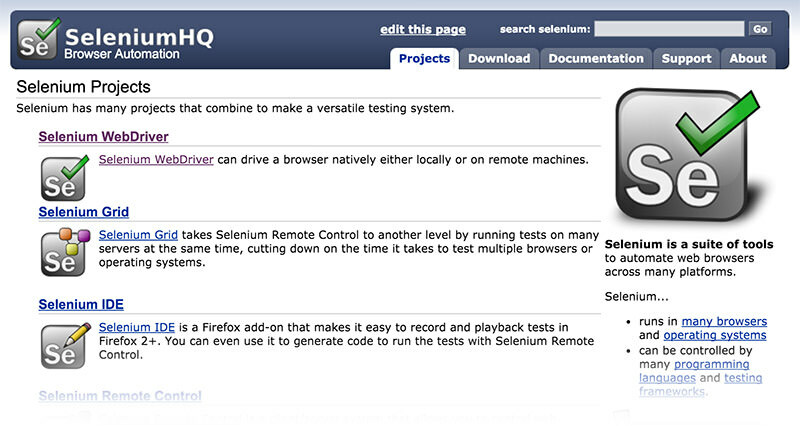 Selenium is a web automation framework with bindings for countless languages including Python. With Selenium, a developer can programmatically automate opening a webpage, entering fields, clicking buttons, and submitting forms. Oftentimes, these types of scripts are used to enter sweepstakes. Be warned! Always check the terms and conditions before you create such a program. 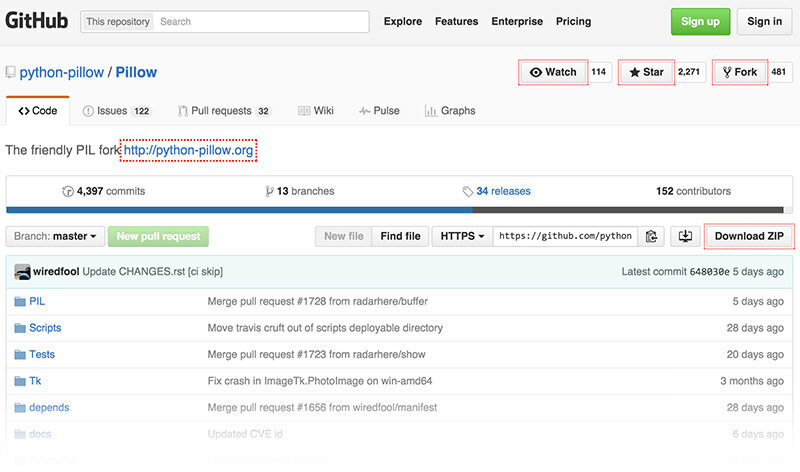 Pillow is a port of the widely popular Python Imaging Library, or PIL for short. Pillow can be used to create composite images, apply filters, modify transparency, overlay text, convert image file types, and much, much more. If you need to edit your images, Pillow is the way to go. 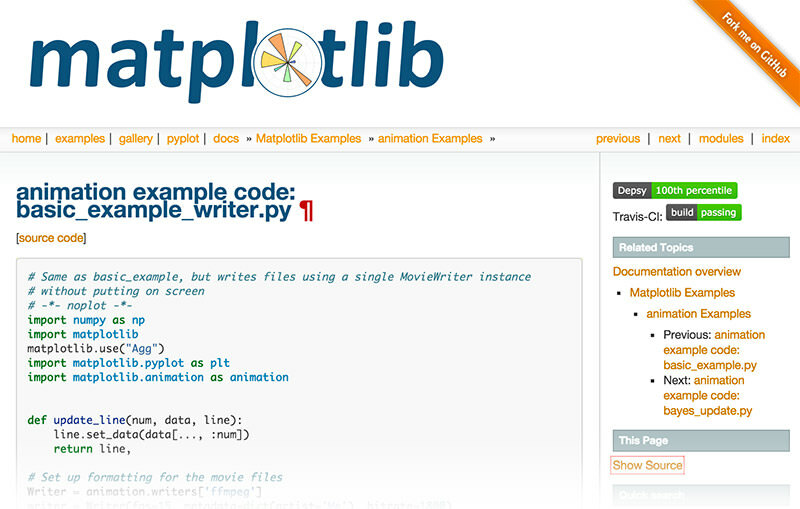 Matplotlib, as its name suggests, is a library that is used to plot mathematical functions and models. Extending the power of Numpy, Matplotlib can create plots, bar charts, scatter plots, and many other visual representations in only a couple lines of code. Though open source, Matplotlib has the potential to compete with other commercial software in the market, like MATLAB and Mathematica. BeautifulSoup4 is the go-to package if you’re looking to parse HTML for certain elements. Oftentimes, regular expressions aren’t enough to do the job, and they fail to accurately process an HTML document. 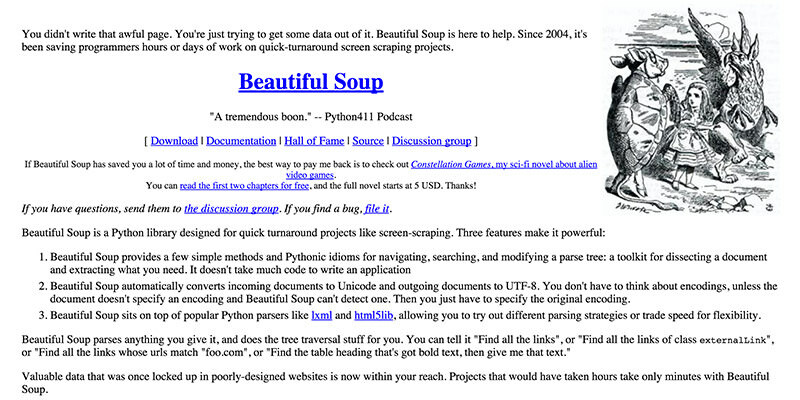 However, BeautifulSoup4 has numerous features that will almost certainly do the trick. 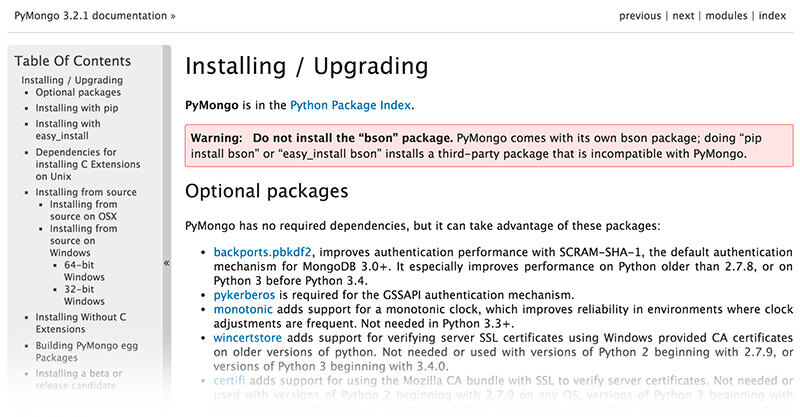 PyMongo is the Python client library for the MongoDB database. The NoSQL structure of MongoDB closely resembles the format of Python dictionaries in which keys correspond to certain values. As a result, storing entries in these databases simply becomes a matter of inserting existing dictionaries. There are many additional features that are included with PyMongo as well including advanced queries and time-to-live indices. Pygame has been the de facto preference in Python game development for quite some time. With this game engine, handling input events, managing sprites, and rendering surfaces is beyond simple. Pygame also has numerous other multimedia capabilities including CD drives, cameras, and audio devices. 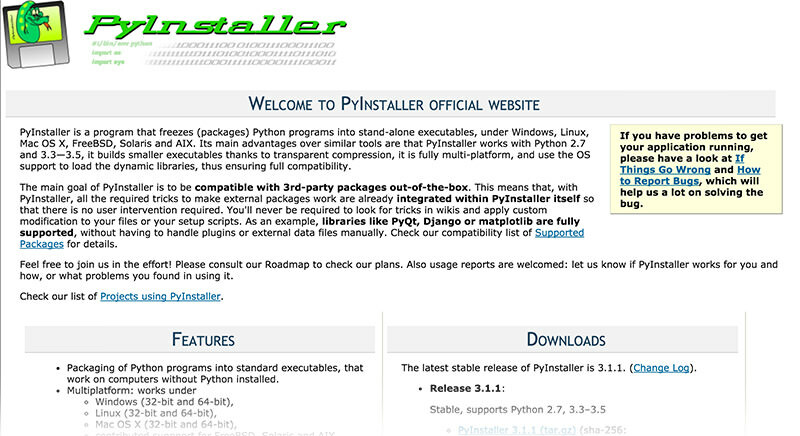 PyWin32, short for Python for Windows Extension provides many modules that allow developers to access low-level Windows features. With the out of the box abilities PyWin32, a user can easily manipulate files, control hardware, manage permissions, and create GUI windows programmatically. All in all, the simplicity of the PyWin32 API is much more preferable to programming C and C++ from scratch. Editor’s note: This is a post written for Hongkiat.com by Malik Brahimi. Malik is a developer located in the Greater Boston area, and loves food, soccer, and programming (favorite language Python).